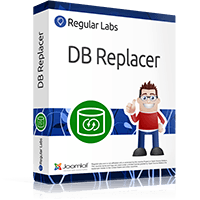 DB Replacer, as written on the Global Joomla site, is an extension to find and replace tables! But what does this mean? Suppose you have 100 articles and in all the content you use a specific word .. A special name or a certain number. And now you want to change all of them. The usual solution is to open every single 100 items and change each one that takes hours, but the second solution is to use the DB replacementer. With this plugin you can check all 100 items and then search for the word of your choice and then replace it with the other word. 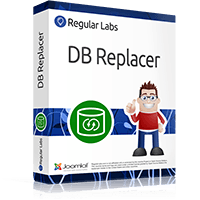 Of course, this plugin will generally search for and replace the database, and only replace the content. One of the tasks of this plugin is that. And hundreds of other things, such as the mass change of accesses ... groups and more, can be done with this add-on.